Draft: 2012, Houston Astros, 7th rd. Is the older brother of Astros prospect OF Kyle Tucker, who was the fifth overall selection in the 2015 draft. Acquired by the Braves from the Houston Astros in exchange for cash considerations on 12/20/17...Was designated for assignment by HOU on 12/15... Spent the entire 2017 season with Houston's Triple-A Fresno Grizzlies…In his fourth year at the Triple-A level, hit .250 (123-for-492) with 20 doubles, 24 home runs and 96 RBI... Played in a team-high 128 games and drove in 96 runs, the second-most on the club…His RBI total was his most since he had 103 in 2013... After going hitless (0-for-8) in the first two games of the season, hit safely in 11 consecutive games, 4/9-20 (.450, 18-for-40), and in 18-of-19 games through 5/1….Had a .421 (32-for-76) average during that span... Batted .367 (29-for-79) in April and .327 (33-for101) in June…In the remaining months, had a .196 (62-for-312) average in 83 games... Appeared in 54 games in right field and 35 in left field…Committed three errors in 157 total chances for a .981 fielding percentage…Made his third and final error of the season on 5/27… Completed 100 total chances the remainder of the season without committing an error... Logged his 10th career multi-home run game at the minor league level on 5/30 vs. Albuquerque. Played 48 games in the Majors, making 34 starts in an injury-shortened season...started 20 games as the designated hitter, 13 games in left field and one in right field...13 of his 22 hits went for extra bases (eight doubles, one triple, four homers)...11 of his 13 extra-base hits came against right-handed pitchers...made his first appearance on an Opening Day roster....was optioned to Triple A on May 15... recalled back to Houston on July 22...was placed on the 15-day Disabled List with a right shoulder sprain on Aug. 12...spent the rest of the season on the DL, although he did attempt a rehab stint at Double A Corpus Christi...underwent shoulder surgery on Sept. 21...started the season on a five-game hitting streak from April 5-10...tied his career-long hitting streak (also June 12-18, 2015...all of his hits during the streak went for extra bases...tied the club record for the longest extra-base hit streak to start a season with Bill Doran (1989)...homered off LHP Jose Alvarez on July 24 vs. LAA...was his first career homer off a lefthanded pitcher...combined to hit .283 (65x230) with 14 doubles, three triples, eight homers, 32 RBI and an .806 OPS (.332 OBP/.474 SLG) in 59 games in the minor leagues between Triple A Fresno (53g) and Double A Corpus Christi (6g)...hit .301 (63x209) in his 53-game stint at Triple A that lasted from May 17-July 21...hit 14 doubles, three triples and eight homers at the level...was named Fresno's June Player of the Month...had a six-game rehab stint at Corpus Christi from Aug. 24-31, recording two hits, two walks and three RBI in 24 plate appearances before being shut down for the year. Finished sixth among AL rookies in doubles (19) and tied for fifth in homers (13) after playing in 98 games with Houston in what was his first career Major League action...posted a .255 (60x235) batting average with 17 doubles, 13 homers, 32 RBI and an .807 OPS (.314 OBP/.494 SLG) against right-handed pitchers... recorded a club-high two pinch-hit home runs, batting .231 (3x13) with a walk and four RBI in his 14 pinch-hit plate appearances...became one of four rookies in club history to record multiple pinch-hit homers, joining Cliff Johnson (5 in 1974), Jason Lane (2 in 2004) and Daryle Ward (2 in 1999)...was tied with Tampa Bay's Tim Beckham for the AL-lead in pinch-hit homers by a rookie...made 76 starts with Houston: 62 in left field, 12 in right field and two at designated hitter...was selected to the Major League roster from Triple A on May 7... optioned to Triple A on Aug. 22...recalled from Triple A on Sept. 2...made his Major League debut on May 7 at LAA...became the sixth player in club history to record a hit, a walk and an RBI in his big league debut, and the first since Jon Singleton in 2014...the first two homers of his career occurred during the series in Detroit in May, and both were pinch-hit homers...joined Dave Bergman as the only players in Astros history to record their first two career homers in the pinch...hit his first career homer on May 21...was the Astros first pinch-hit homer since Rick Ankiel hit one on April 17, 2013 at OAK...his three homers against the Tigers all tied the game (May 21 at DET, May 24 at DET, Aug. 15 vs. DET)...two of the homers came in the 9th inning (May 21 and Aug. 15)...per Elias, became the first player in club history with two pinch-hit homers in the same series...prior to Tucker, the last MLB player to do this was Dioner Navarro for the Cubs in a series vs. SF in 2013...the last MLB rookie to do this was Reggie Taylor at COL in August of 2002...had consecutive multi-double games from May 14-15...became the first rookie in club history to record multiple doubles in consecutive games...his four doubles within his first seven games established a new franchise record...on July 10 at CLE, fell a triple shy of the cycle, going 4x5 with a double, homer and two RBI on what was his 25th birthday...became the second player in club history to record four hits on his birthday, joining Jeff Bagwell in 2003...recorded 15 doubles through his first 57 games... marked the second-most doubles in club history through a player's first 57 games, behind only Hunter Pence (20 in 2007)...recorded the first multi-homer game of his career on July 21 vs. BOS...hit a 9th-inning, two-out solo homer on Sept. 13 at LAA that sparked a 5-3, come-from-behind win over the Angels...Houston trailed 3-0 heading into the 9th inning...in 33 games at Triple A, hit .295 (38x129) with four doubles, 11 homers, 35 RBI and a .938 OPS (.357 OBP/.581 SLG)...prior to making his MLB debut in May, was leading all minor league players in homers (10) and RBI (32)...played in three playoff games, going 0x2 with a walk as a pinch-hitter...became the first player from the Astros 2012 draft class to make it to the Major Leagues. Finished sixth among AL rookies in doubles (19) and tied for ﬁfth in homers after playing in 98 games with Houston in what was his ﬁrst career Major League action, across two stints...left-handed hitter posted a .255 (60x235) batting average with 17 doubles, 13 homers, 32 RBI and an.807 OPS (.314 OBP/.494 SLG) against right-handed pitchers...recorded a club-high two pinch-hit home runs, batting .231 (3x13) with a walk and four RBI in his 14 pinch-hit plate appearances...became one off our rookies in club history to record multiple pinch-hit homers, joining Cliﬀ Johnson (5 in 1974), Jason Lane (2004) and Daryle Ward (1999)...was tied with TB's Tim Beckham for the AL-lead in pinch-hit homers by a rookie in 2015...made 76 starts with Houston: 62 in left ﬁeld, 12 in right ﬁeld and two at designated hitter...was selected to the Major League roster from Triple A on May 7...optioned to Triple A on Aug. 22...was recalled from Triple A on Sept. 2 where he remained in Houston...made his Major League debut on May 7 at LAA...became the sixth player in club history to record a hit, a walk and an RBI in his big league debut, and the ﬁrst since Jon Singleton in 2014...the ﬁrst two homers of his career occurred during the series in Detroit in May, and both were pinch-hit homers...joined Dave Bergman as the only players in Astros history to record their ﬁrst two career homers in the pinch...hit his ﬁrst career homer on May 21...was the Astros ﬁrst pinch-hit homer since Rick Ankiel hit one on April 17, 2013 at OAK...his three homers against the Tigers all tied the game...two of the homers came in the 9th inning (May 21 at DET, May 24at DET, Aug. 15 vs. DET)...the 9th inning homers were on May 21 and Aug. 15...per Elias, became the ﬁrst player in club history with two pinch-hit homers in the same series...prior to Tucker, the last MLB player to do this was Dioner Navarro for the Cubs in a series vs. SF in 2013...the last MLB rookie to do this was Reggie Taylor at COL in August of 2002...had consecutive multi-double games from May 14-15...became the ﬁrst rookie in club history to record multiple doubles in consecutive games...his four doubles within his ﬁrst seven games established a new franchise record...on July 10 at CLE, fell a triple shy of the cycle, going 4x5 with a double, homer and two RBI on what was his 25th birthday...became the second player in club history to record four hits on his birthday, joining Jeﬀ Bagwell in 2003...recorded 15 doubles through his ﬁrst 57 games...marked the second-most doubles in club history through a player's ﬁrst 57 games, behind only Hunter Pence (20 in 2007)...recorded the ﬁrst multi-homer game of his career on July 21 vs. BOS...hit a 9th-inning, two-out solo homer on Sept. 13 at LAA that sparked a 5-3, come-from-behind win over the Angels...Houston trailed 3-0 heading into the 9th inning...in 33 games at Triple A Fresno, hit .295 (38x129) with four doubles, 11 homers, 35 RBI and a .938 OPS (.357 OBP/.581 SLG)...prior to making his Major League debut in May, was leading all of minor league baseball in homers (10) and RBI (32)...played in three playoﬀ games, going 0x2 with a walk as a pinch-hitter...became the ﬁrst player from the Astros 2012 draft class to make it to the Major Leagues. In what was his first full professional season, combined to hit .297 (159x535) with 32 doubles, 25 homers, 103 RBI, 56 walks and a .368 OBP in 135 games between Class A Advanced Lancaster (75g) and Double A Corpus Christi (60g)...ranked tied for seventh in all of minor league baseball in RBI and tied for 14th in hits...was a California League Midseason All-Star...named the California League Player of the Week for the week of May 27-June 3...named Lancaster Player of the Month for May...promoted to Double A on June 26 and hit .183 with three homers over his first 15 games at the level...went on to hit .288 with seven homers, a .370 on-base percentage and a .475 slugging percentage over his final 45 games of the season...at the time of his promotion to Double A, led the California League in total bases (162) and RBI (74), ranked second in hits (97), third in runs (61), fourth in average (.326), and tied for fifth in homers (15)...became the first player in the minor leagues to reach 70 RBI on the season after hitting two three-run homers on June 23 vs. Rancho Cucamonga. Hit .321 (53x165) with eight homers and 38 RBI in 42 games with Class A Short Season Tri-City after getting drafted by Houston...received New York-Penn League Player of the Week honors twice (Aug. 6-13 and Aug. 20-27)...named Tri-City's Offensive Player of the Month for August. February 23, 2019 Chicago White Sox signed free agent LF Preston Tucker to a minor league contract and invited him to spring training. 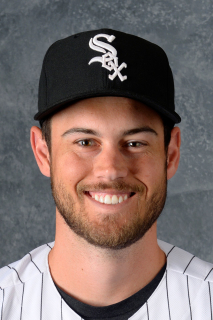 February 23, 2019 LF Preston Tucker assigned to Charlotte Knights. November 2, 2018 LF Preston Tucker elected free agency. October 31, 2018 Atlanta Braves sent LF Preston Tucker outright to Gwinnett Stripers. September 3, 2018 Atlanta Braves activated LF Preston Tucker. September 2, 2018 Cincinnati Reds traded LF Preston Tucker to Atlanta Braves for cash. August 30, 2018 Cincinnati Reds optioned LF Preston Tucker to Louisville Bats. July 28, 2018 Atlanta Braves optioned LF Preston Tucker to Gwinnett Stripers. July 13, 2018 Atlanta Braves recalled Preston Tucker from Gwinnett Stripers. June 23, 2018 Atlanta Braves optioned LF Preston Tucker to Gwinnett Stripers. May 4, 2018 Atlanta Braves recalled LF Preston Tucker from Gwinnett Stripers. December 20, 2017 Houston Astros traded LF Preston Tucker to Atlanta Braves for Player To Be Named Later. December 15, 2017 Houston Astros designated RF Preston Tucker for assignment. November 2, 2017 Houston Astros activated RF Preston Tucker. October 5, 2017 Houston Astros reassigned RF Preston Tucker to the minor leagues. October 2, 2017 Houston Astros recalled RF Preston Tucker from Fresno Grizzlies. March 28, 2017 Houston Astros optioned RF Preston Tucker to Fresno Grizzlies. October 3, 2016 Preston Tucker roster status changed by Houston Astros. August 24, 2016 Houston Astros sent OF Preston Tucker on a rehab assignment to Corpus Christi Hooks. August 12, 2016 Houston Astros placed LF Preston Tucker on the 15-day disabled list. Strained right shoulder. July 22, 2016 Houston Astros recalled LF Preston Tucker from Fresno Grizzlies. May 16, 2016 Houston Astros optioned LF Preston Tucker to Fresno Grizzlies. September 2, 2015 Houston Astros recalled Preston Tucker from Fresno Grizzlies. August 23, 2015 Houston Astros optioned LF Preston Tucker to Fresno Grizzlies. May 7, 2015 Houston Astros selected the contract of Preston Tucker from Fresno Grizzlies. January 13, 2015 Houston Astros invited non-roster LF Preston Tucker to spring training. June 12, 2014 Preston Tucker assigned to Oklahoma City RedHawks from Corpus Christi Hooks. January 14, 2014 Houston Astros invited non-roster RF Preston Tucker to spring training. June 26, 2013 OF Preston Tucker assigned to Corpus Christi Hooks from Lancaster JetHawks. April 1, 2013 Preston Tucker assigned to Lancaster JetHawks from Tri-City ValleyCats. March 28, 2013 OF Preston Tucker assigned to Houston Astros. July 18, 2012 Preston Tucker assigned to Tri-City ValleyCats. July 13, 2012 Houston Astros signed OF Preston Tucker.